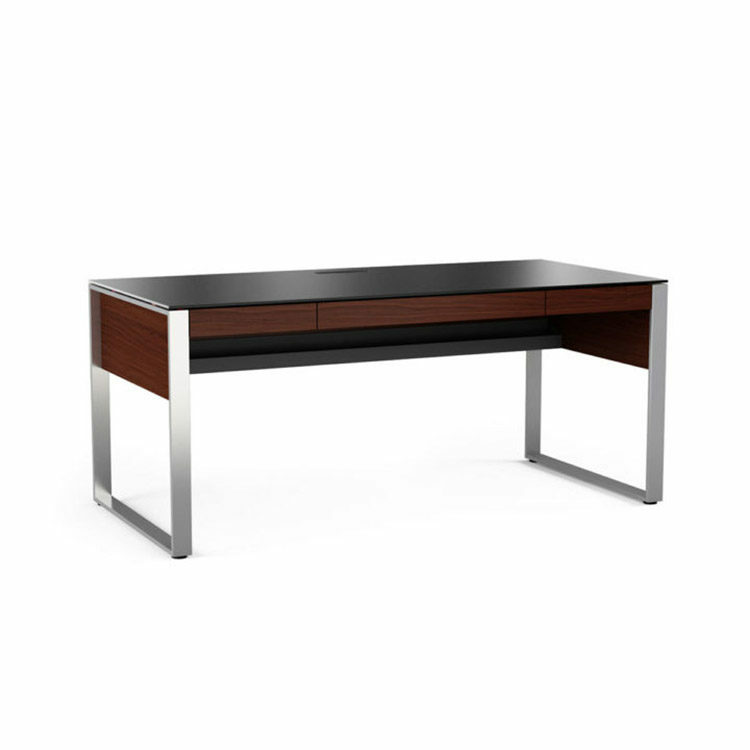 Give any workspace a promotion with this Executive Desk, designed to answer the need for a freestanding, floating desk that is perfect for meetings or wherever a larger workspace is needed. File and regular storage drawers as well as cable management. Available in three stain options. Other compatible pieces available to help create the entire space.